It can be so hard coming up with meal ideas when there is hardly any money for groceries. But I’m learning with a bit of planning, I can save a lot of money on groceries. And I’m learning new frugal healthy delicious recipes. 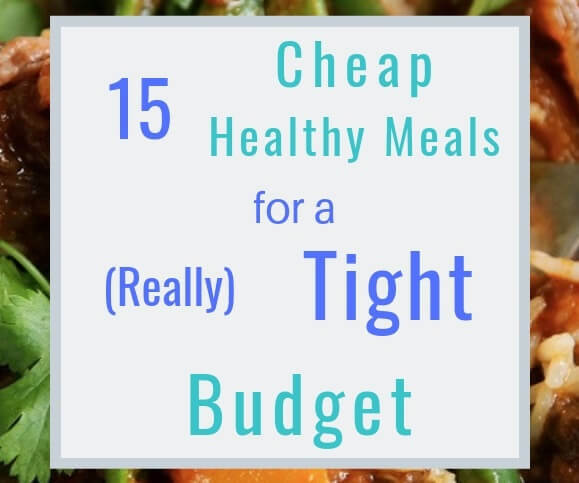 Here are 15 cheap healthy meals for a tight budget. I hope you will try them. Let’s stretch out the food dollars together. In a busy home, mornings can be one of the toughest parts of the day. Everyone’s just trying to get out of the house and where they need to be, right?. Rushed mornings make it really easy to eat a “convenient” breakfast like opening some boxed cereal. Or do you sometimes open other processed food like Pop Tarts? Breakfast is supposed to be the most important meal of the day and there’s good reason for that. A nourishing and hearty breakfast is what your body needs after a long night of rest. And a filling breakfast keeps you going! You won’t be having hunger pangs an hour after you eat. But did you know, you can make good healthy tasty food for breakfast with just a bit of preparation? No one has time to make a big full breakfast during the week. But these cheap healthy meals will work! Why not serve up a nice bowl of oatmeal? Flavor it up with whatever you like, berries or a bit of maple syrup. How about some brown sugar and a splash of milk? 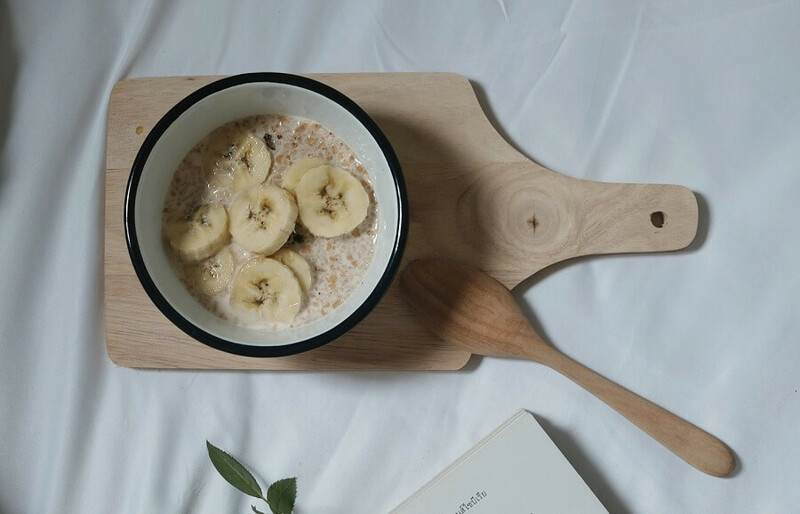 Try this Healthy Oatmeal Recipe for a great start to the day. TIP: Soak the empty pot immediately after you dish out. Seriously. 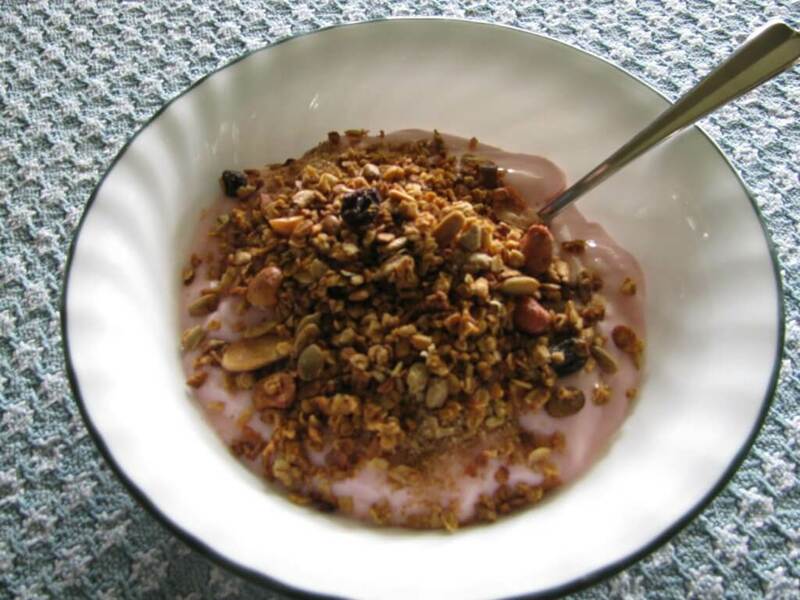 Granola over a big dollop of yogurt is a breakfast treat you can have whenever you like. Add extra seeds and nuts if you like. Change them up for variety. This Healthy Homemade Granola is also great stirred in milk. Make it in large batches and just measure out what you need for the day. Add fresh berries on top if you have them. Super easy. Pancakes are so easy to make and fast too. 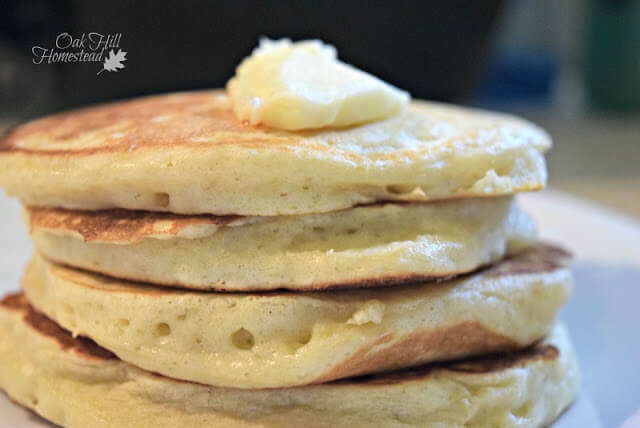 Get your fry pan out and warming on the stove for these Light and Fluffy Homemade Pancakes. Serve them with some no cook Strawberry jam. Or peanut butter. Once in a while, splurge for fresh berries and whipped cream. Your family will like you even more. A healthy, easy and filling breakfast! My kids always loved to take leftover pancakes with jam for their school lunch that day. Win win…. The thing about lunch is….if you haven’t thought about it ahead of time, chances are really good that you are going to pay a lot more for lunch. It’s pretty hard to just skip lunch, even after that bowl of homemade granola you had this morning. And if you don’t grab lunch, you will find it harder to concentrate on what you need to in the afternoon. But you know what is pretty convenient to have for lunch? Soup! Homemade delicious soup. Soup makes for some cheap healthy meals, that’s for sure. 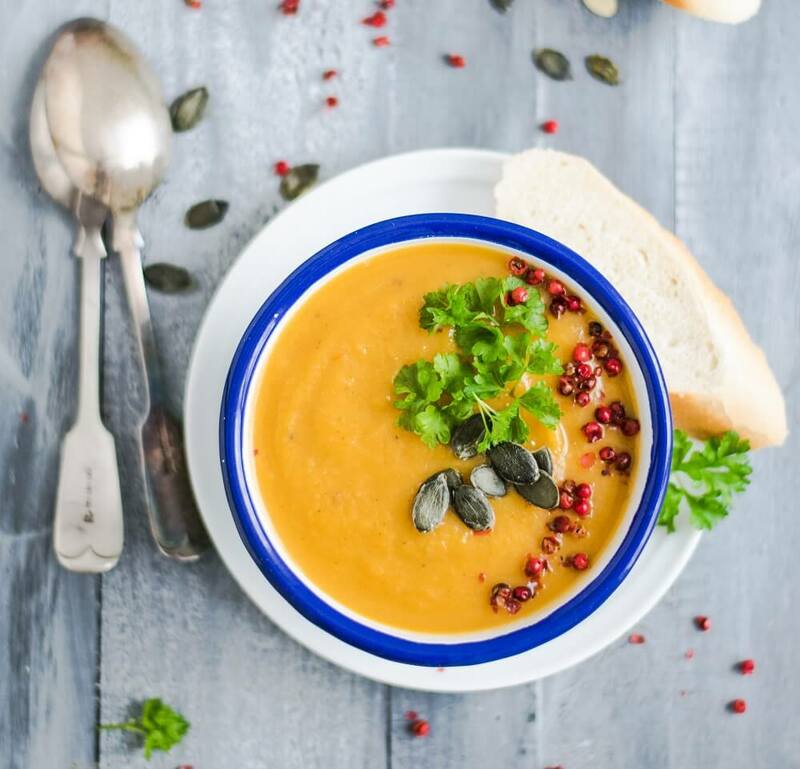 If you spend an afternoon on the weekend making a few different pots of soup, good for you! You just figured out lunch for your whole week. And yes, even for kids. A thermos filled with hot soup before your kids head off to school will still be plenty warm enough at lunchtime. Not hot enough to burn them, but warm enough that they will fill their tummies. They’ll have the fuel they need to make it through school and the playground. So here are some great soup recipes to make ahead. And of course, lots of people enjoy a big bowl of soup for dinner! Whatever meal you cook these healthy soups for, enjoy them. They are good for you, really inexpensive to make and are very satisfying. Wouldn’t this be a delicious lunch on a cold day? 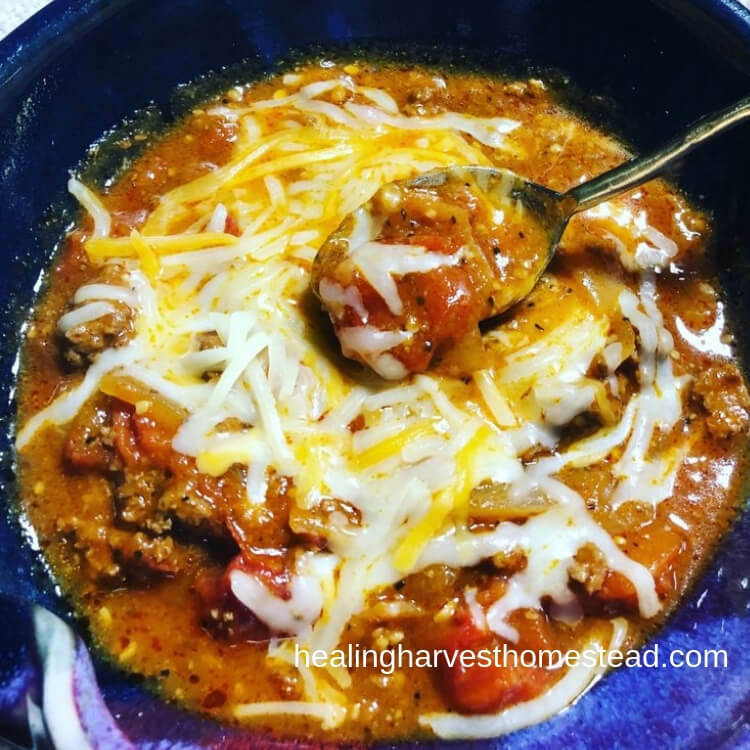 Try this Pumpkin Ground Beef Soup. You can make it from start to finish in one pot, and it’s carb friendly. Making soup in a slow cooker or crockpot is really convenient. Super convenient. And this recipe is super healthy and also super frugal. 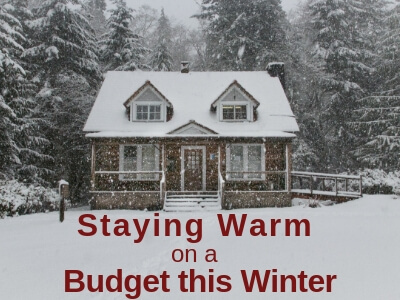 So it’s great when you are working on a tight budget. If you can squeak out 10 extra minutes in the morning, you can actually make dinner. Here’s a Slow Cooker Ham and Bean Soup your family will love. Just put all the ingredients in a slow cooker turned on Low. Stir, put the lid on and go to work. When you come home, dinner is ready just as fast as you can make a side salad and butter some buns. Or not – this soup is hearty and filling on its own. 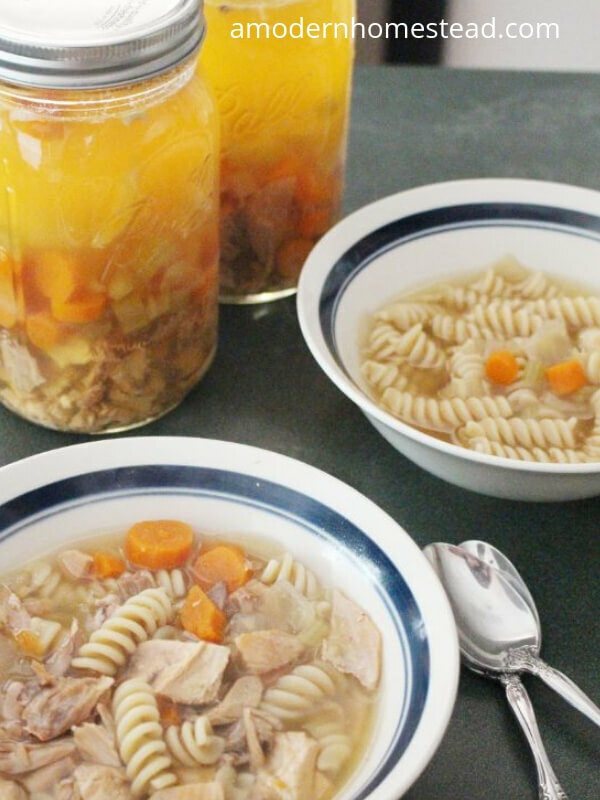 Chicken broth is a main ingredient in so many soup recipes. Why not make your own? This recipe even includes canning instructions – a great way to start stocking up a pantry. Bone Broth Chicken Soup is so healthy and very easy to make. 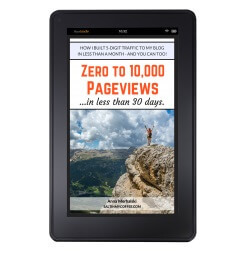 Super frugal too – great when you are getting to the end of the month. This Sweet Potato Sausage soup is perfect for a cool fall or winter dinner. And you know how healthy sweet potatoes are, right? You can vary the taste depending on which type of sausage you want to use. Just freeze any leftovers. Why not make a double batch and use the extra for lunches over the next several weeks. Win win. 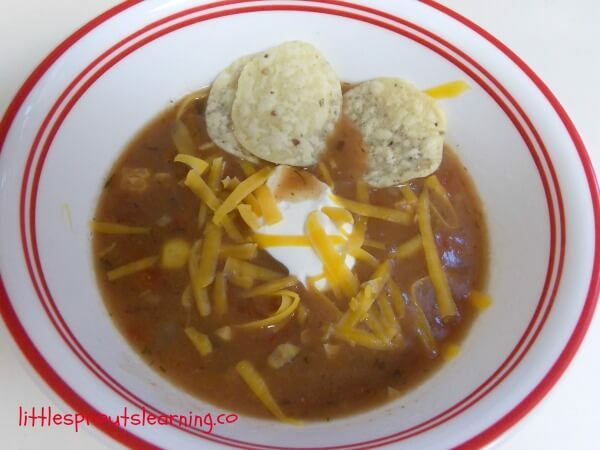 This Easy Inexpensive Taco Soup is a hit with kids; actually your whole family will love this one. A perfect meatless meal if you want one. 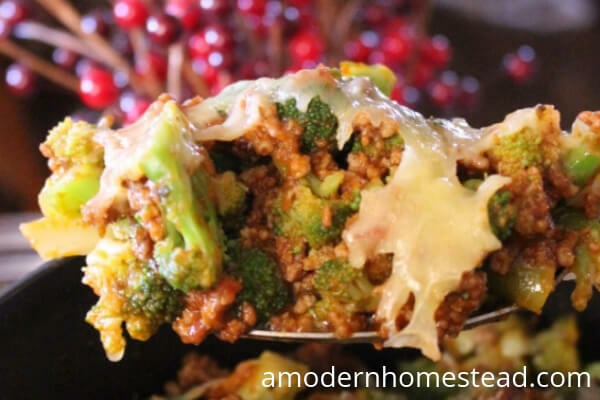 Or add some crumbled browned ground beef if you like. Either way there’s lots of protein in this filling dinner. Special Taco seasoning adds a real zing; add some cheese and a dollop of sour cream. Serve with taco chips for dunking. During cold and flu season it’s always a good idea to eat healthy foods that boost your immune system. 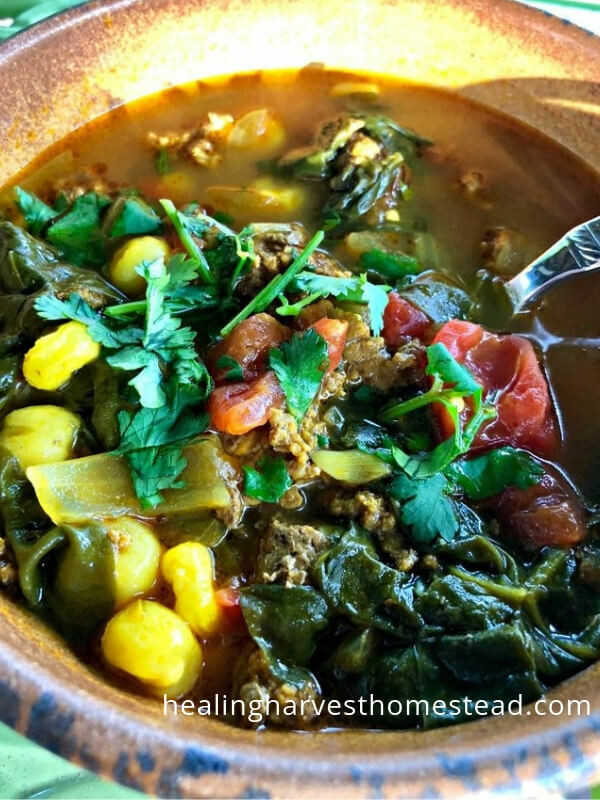 This Beef and Herb Southwest Soup has both turmeric and cumin in it. Full of healthy herbs and spices and so very good for you. And it can be made and served in less than 1 hour. And it’s delicious. There you have it, several inexpensive yet super healthy lunches. Or dinners if you would rather. If you can buy some of these ingredients on sale (or all is even better!) 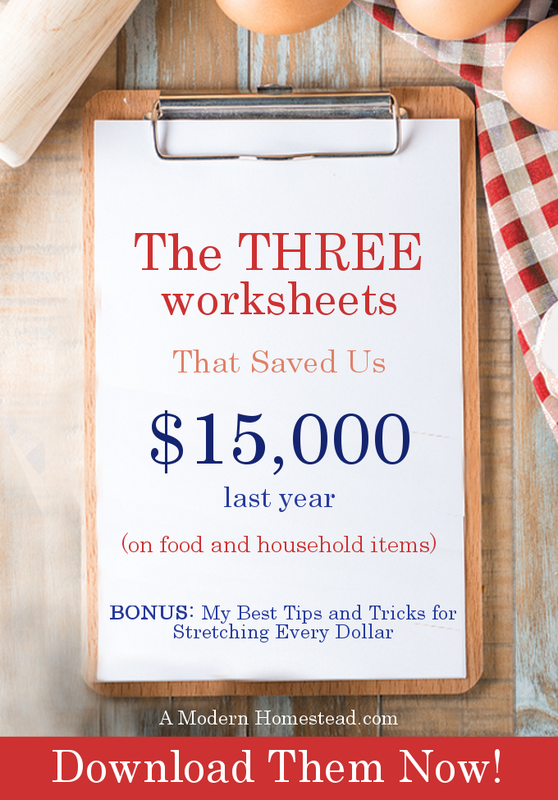 you can create really frugal, healthy satisfying meals for your family. Start stocking up your pantry with ingredients when they come on sale. Having a full cupboard or pantry makes planning ahead for inexpensive meal ideas possible. Otherwise you are dependent on grocery store prices at that moment. Many people don’t realize the cost savings to be had just by buying food when it is on sale. Ready for some more cheap healthy meals? How about some fantastic dinner recipes? Here’s a super easy, make ahead dinner. Plus, when you make it, make extras! Shove them in the freezer for quick convenient dinners in the weeks ahead. 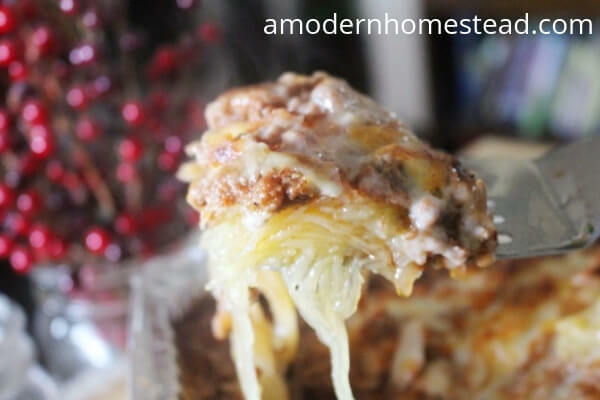 This Spaghetti Squash Casserole is a complete meal – just add whatever kind of meat you want to. Squash is a fantastic vegetable to stock up on in late summer. Vegetable stands and farmers markets sell these very cheaply when they are in season. And they are very easy to store and will last for months. 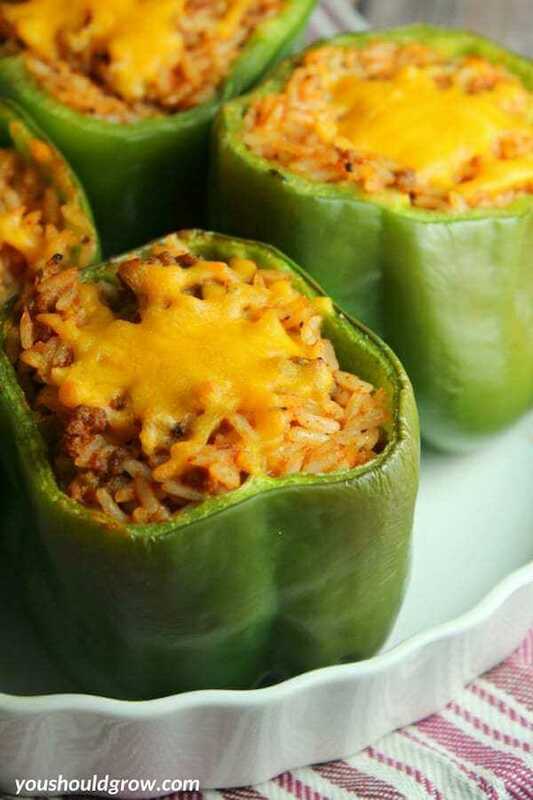 Dinner in 1 hour with these easy to make Stuffed Peppers with Ground Turkey. Or cook the meat ahead to get this dinner on the table even faster. Jam packed with meat, rice and vegetables. And then covered in cheese. Serve it with a salad for a fast healthy meal. These will be a hit with the kids. 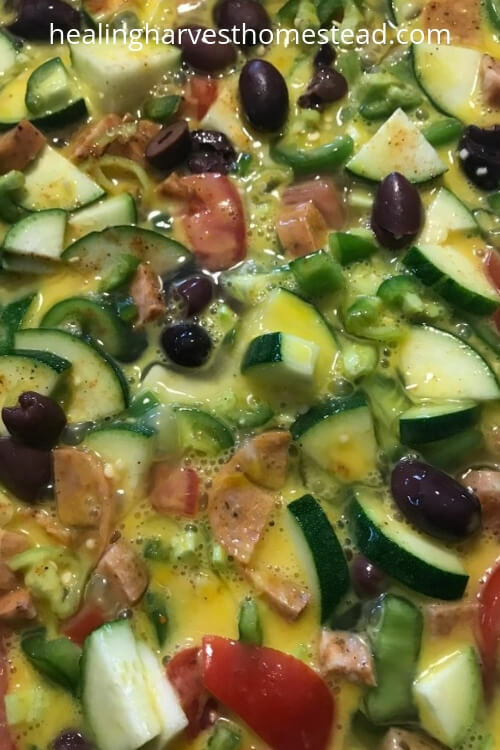 If you’ve got eggs, some vegetables and a bit of meat, you can make this Perfect Frittata. Baked in the oven with eggs and pretty much whatever else you have on hand. Perfect, easy and fast. Busy moms can make this just before their weekly grocery shopping. This meal is a great way to use up any leftover vegetables from the week. Who doesn’t love a hot bowl of homemade stew when it’s cold outside? 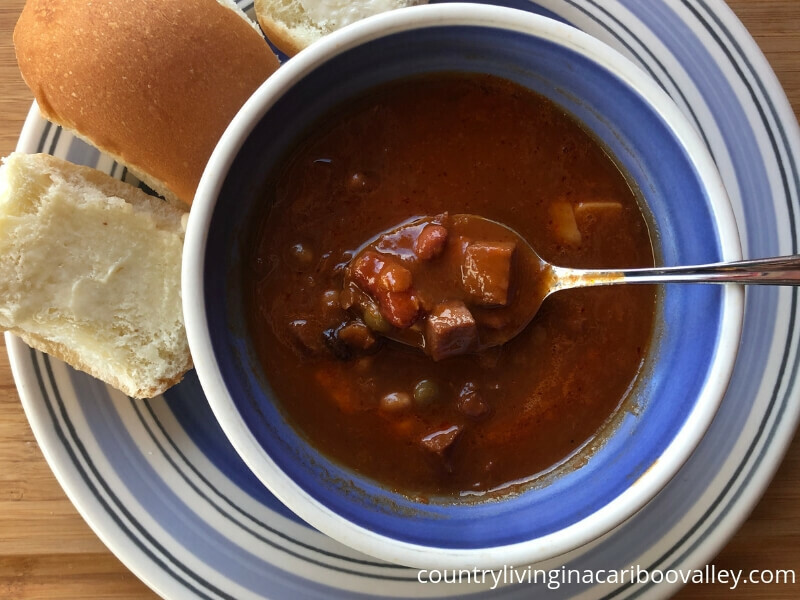 Stew is perfect comfort food and this one is super easy to make in a slow cooker. 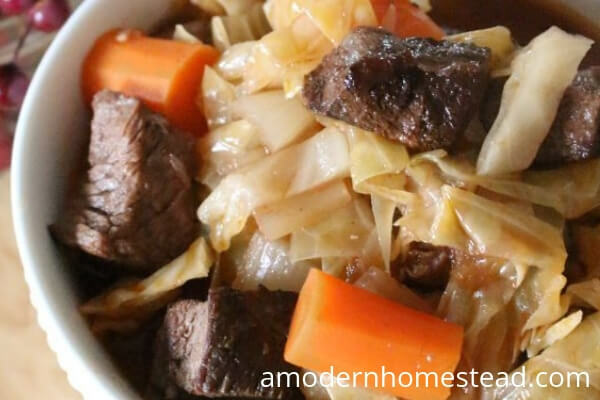 Try this Irish Roast and Cabbage Stew – this recipe makes a large batch (18 cups of stew) – perfect for leftovers. From prep to table in under 1 hour, this One Pan Broccoli Casserole is great alongside a salad. Plus – it’s gluten free and paleo friendly. This recipe makes 9 cheap healthy meals worth, so just bring any leftovers to work for lunch! Before you throw your hands in the air, thinking “Roasted Chicken is NOT a fast and cheap meal” hold on a moment. Because this recipe uses 1 chicken and gives you 3 meals. Yes. 3 meals. 3 different meals. That’s 3 cheap healthy meals. A roasted chicken takes about 2 hours to cook. Why not make a big Sunday family dinner? Roast the chicken along with potatoes, carrots and onions in the same pan. Then the next night, make Chicken Enchiladas with some of the left over chicken. Or shred the leftover meat and put into separate freezer bags. Make your enchiladas another night. 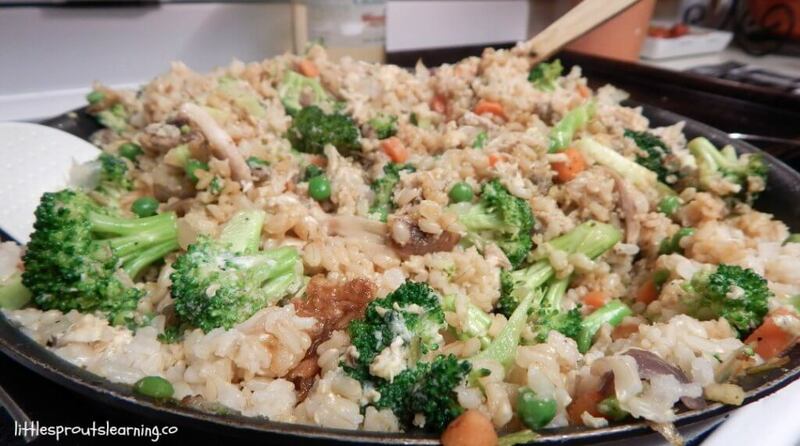 And you still have enough to make Chicken Fried Rice another night. Want all the recipes? Of course you do – Cook 1 Chicken Make 3 Meals gives you everything you want to know. 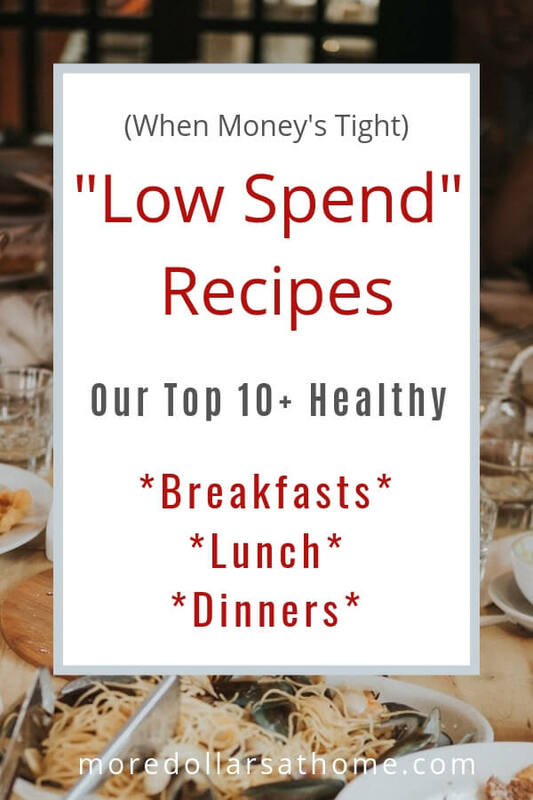 You CAN eat healthy even on a tight budget! So there you have it…lots of different choices for a healthy meal. Spend less than an hour a week setting up meal plans for the whole week. Just a bit of preplanning for meals helps so much on a daily basis. Get into a routine that works for you and your family. Healthier meal choices will mean a healthier family. These 15 cheap healthy meals will go a long way towards stretching those dollars. Looking for ways to reduce your debt?